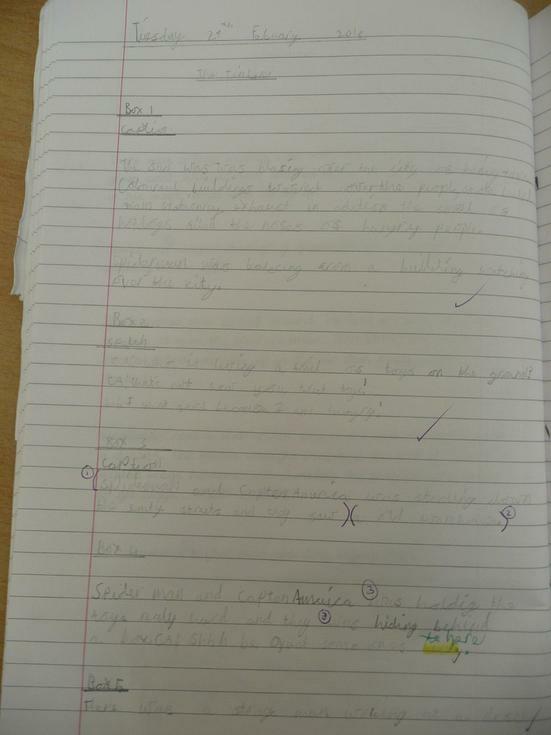 Max wrote an outstanding biography about Sir David Attenborough. 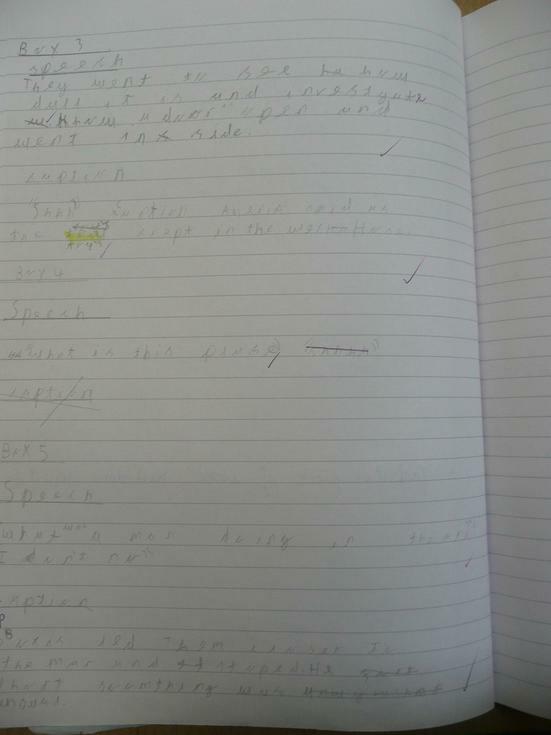 He used a range of pronouns throughout his work to keep it interesting. 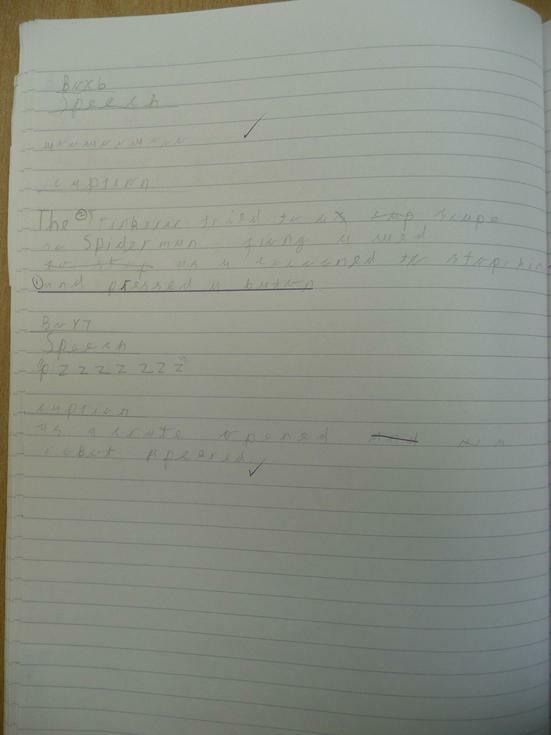 He also asked questions, wrote facts and used sub-headings. Well done, Max. Miley chose powerful verbs and adjectives to create an excellent rainforest description that makes you feel like you’ve been transported into the rainforest itself. Isabelle has written an imaginative story which includes a hero and villain of her creation. She has brought her story to life with a fabulous array of fronted adverbials, conjunctions and powerful, well-chosen verbs. Kayleigh worked really hard on this piece of work, writing comic strip captions with great details and description. 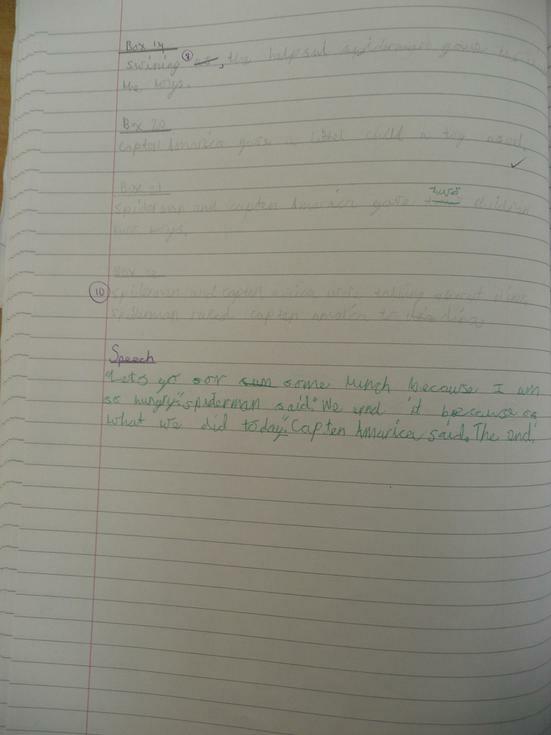 She also used some wonderful fronted adverbials and well thought out speech. Alfie has used speech in these comic strip captions that really brings the story to life. He has tried extremely hard to use the correct punctuation throughout this piece of work. 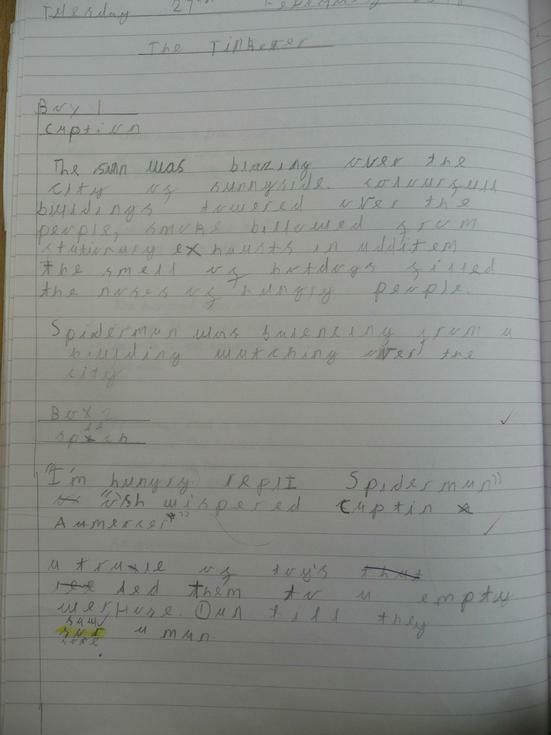 Leon independently wrote a fantastic retell for chapter 2 of the story Iron Man. He added in some excellent description and even used an ellipsis for effect. Brilliant work, Leon. Lacie created a beautiful character description that fully captures the mischief of the elf. She has used a wonderful range of adjectives and adverbs to describe his appearance and some excellent vocabulary to explain his personality. Thomas has been working extremely hard to improve his handwriting. He puts a lot of effort into remembering to make is tall letters tall whilst creating wonderful pieces of work like this one. His vocabulary and use of similes is excellent plus Thomas is beginning to use a wider range of conjunctions to vary his sentences. He is becoming a fluent and expressive writer. Keep up the good work, Thomas. Darci has earned this for writing a wonderful poem which managed to fully express the danger and intelligence of a hunting tiger. Ben has created a fantastic poem about a rough and wild sea using his senses. 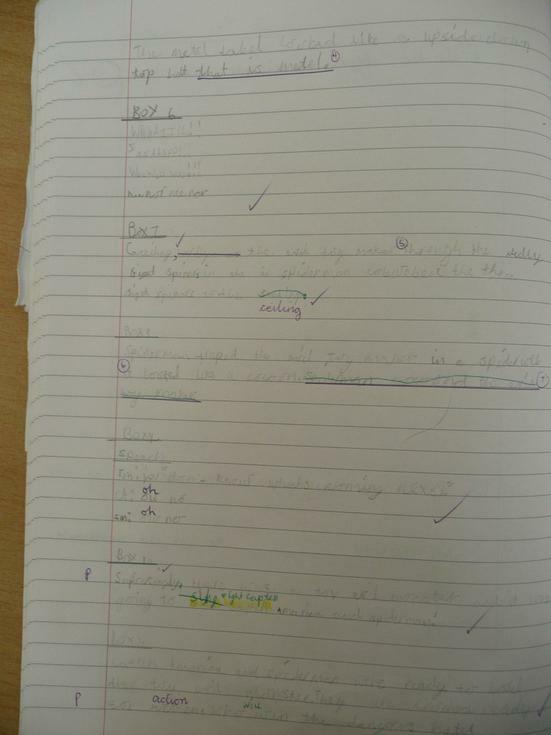 He has included a range of wonderful vocabulary and has had a go at using onomatopoeia to make his poem come to life. An Excellent piece of writing! Well done, Ben. Jack worked independently to create a page and a half of writing to retell our class story, ‘The Night Gardener.’ In it he describes the Night Gardener in detail and remembers to include many of the topiaries that we come across throughout the story. 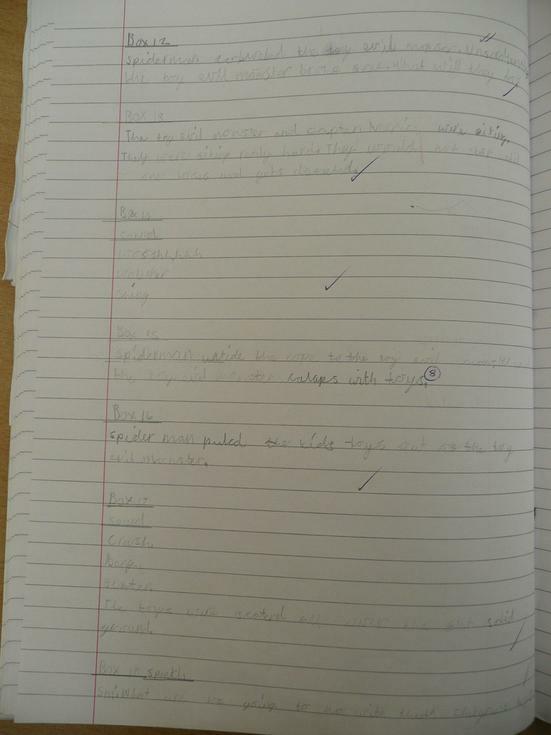 Jack has tried hard to correctly place his full stops and has worked on adding in his capital letter. Wonderful work, well done, Jack! Isabelle thought of a range of wonderful vocabulary, which she then used to create these amazing sentence linked to our Night Gardener story. I like that almost all her sentences begin with something different. Keira wrote a wonderful character description using some fantastic, well-chosen vocabulary and similes. She really worked hard on this piece of writing and she should be extremely pleased with it. I know I am!